Mary Ziavras’ parents escaped the Greek/Armenian genocide at the turn of the 20th century, bringing with them stories of a culture that endured centuries of persecution. 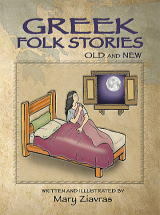 Greek Folk Stories Old and New provides a unique insight into the culture of a Greek society that was thriving in that region from the time of antiquity and was quickly annihilated preceeding World War I and its aftermath. Their way of life was shattered when they were forced to flee, abandoning their homes and property or be slaughtered by soldiers of the Turkish Ottoman Empire. With this book the oral traditions of a people that survived this genocide are not lost. 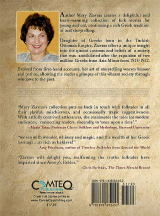 Mary's father, Efstratios Zaferiou and his family fled from the island of Lesvos in 1914. Her mother, Chryssanthy Anadolis and her family the fled from a town in Eastern Thrace called Skopos and immigrated to New York through Ellis Island in 1916. They were among over 2 million political refugees of the Greek/Armenian Genocide. "My mother aged 16, and her sister immigrated to New York to begin anew in 1916. They were met by their brother Benjamin who had escaped enscription to the Turkish army in 1914. They were part of a society that maintained their Christian values and heritage despite enduring generations of discrimination and oppression from their Muslim occupiers. They brought their customs and beliefs to The United States along with the tradition of oral storytelling, which was the way they maintained their customs through the centuries of occupation. At a very young age I was captivated by their anecdotes. My collection of stories is culled from first-hand accounts of my relatives who reminisced about their homeland. I created twenty short vignettes that depict the struggles, aspirations and often hilarious antics of peasants from a bygone era. In this book I document their way of life." 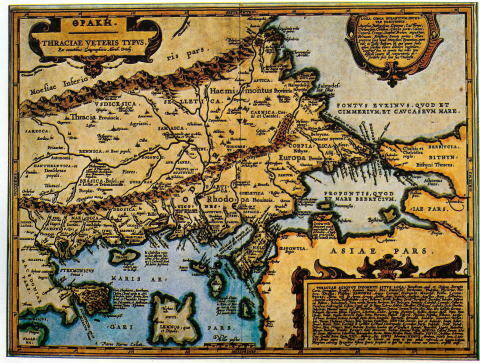 Thrace designates a region bounded by the Balkan Mountains on the north, Rhodope Mountains and the Aegean Sea on the south, and by the Black Sea and the Sea of Marmara on the east. The areas it comprises are southeastern Bulgaria (Northern Thrace), northeastern Greece (Western Thrace), and the European part of Turkey (Eastern Thrace). 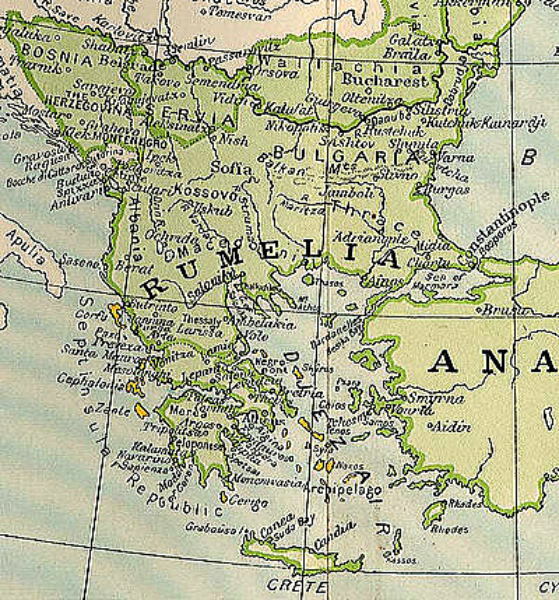 The biggest part of Thrace is part of present-day Bulgaria. In Turkey, it is also called Rumelia. The name comes from the Thracians, an ancient Indo-European people inhabiting Southeastern Europe.